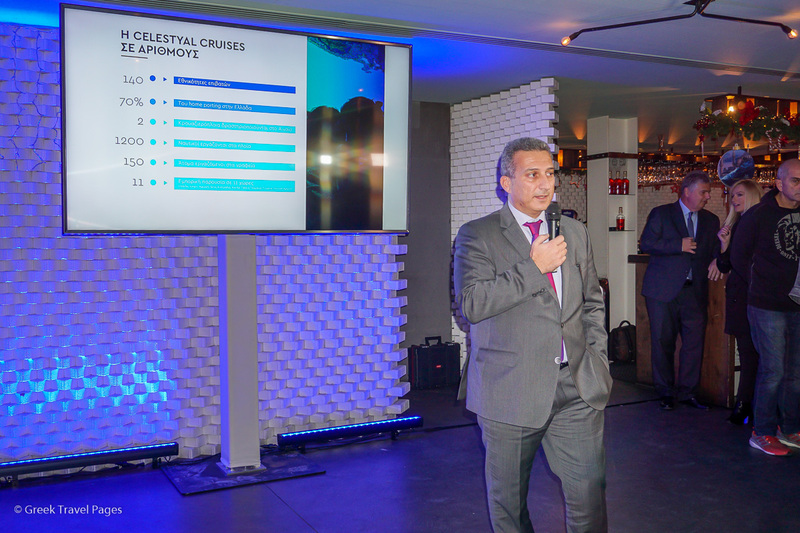 Celestyal Cruises in 2018 “showed Greece” to 108,000 passengers through itineraries on its Crystal and Olympia vessels and is aiming to boost that number by 21 percent, to 130,000, in 2019. Speaking during a media briefing, the Celestyal’s chief commercial officer, Leslie Peden, referred to 2018 as a “tremendous year”, which resulted in growing passenger numbers of 8 percent year-on-year. Celestyal wrapped up its operations for the 2018 season in November, having started itineraries in late March. Celestyal Cruises Chief Commercial Officer Leslie Peden. The company’s key markets in 2018 included North America, which accounts for 32 percent of Celesyal’s guests, Spain (12 percent), Latin America (10 percent), Greece (10 percent) and Turkey (9 percent). Peden informed journalists that in 2018 the company was very active on restructuring its commercial organization throughout the world, as it opened offices in the United States, this way gaining coverage across North America. “We have also in addition opened up new markets… We are also working in more channels of distribution so we are building relationships with our retail travel agents,” he said, adding that Celestyal’s focused source markets for 2019 include North America; UK and Ireland; Germany, Austria and Switzerland; Latin America; and Australasia. “In 2019 we will continue to activate a lot of the new businesses focused on the new distribution channels we started to work with in 2018 and that is really going to drive our growth next year by 21 percent to get to that 130,000 guests,” he said. Peden also added that Celestyal has launched its 2019 and 2020 cruises six months earlier than usual, which has added significantly to the early booking trend. 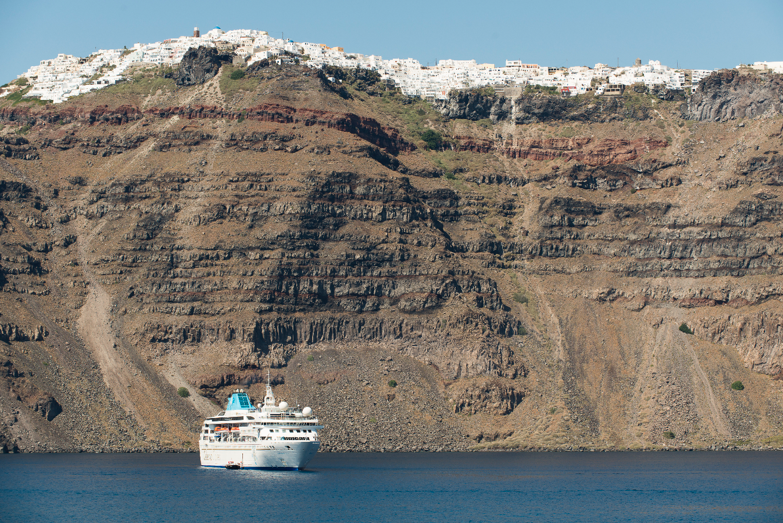 Celestyal Cruises in 2019 is focused on extending its operating season in Greece in order to contribute to Greece’s 365-day destination concept. Celestyal Cruises CEO Chris Theophilides. 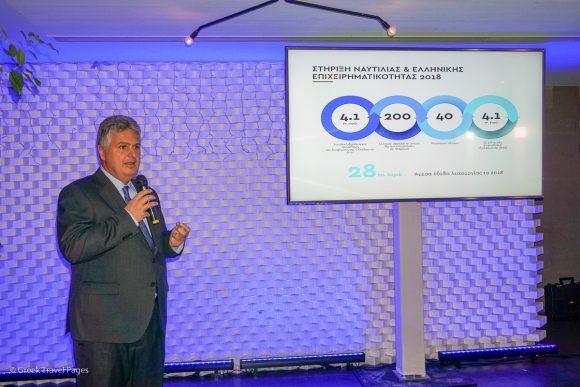 During the event, Celestyal’s CEO, Chris Theophilides, underlined the company’s considerable efforts to extend the tourist season in Greece, as in 2018 and for the first time, the company extended its cruise schedules until November. He noted that the 2019 routes will be extended by eight weeks from the 4 weeks in 2018, covering the public demand for cruises in the Aegean during the fall season. The 2019 routes will begin in March and the company will operate until the end of November with one ship, whereas its second ship will operate into January of 2020. 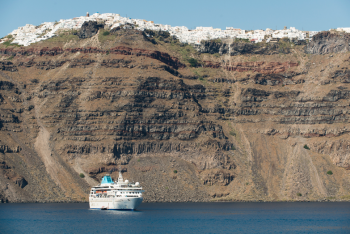 The cruise company’s 2019 and 2020 itineraries will add 7 new ports of call to its Eastern Mediterranean product. 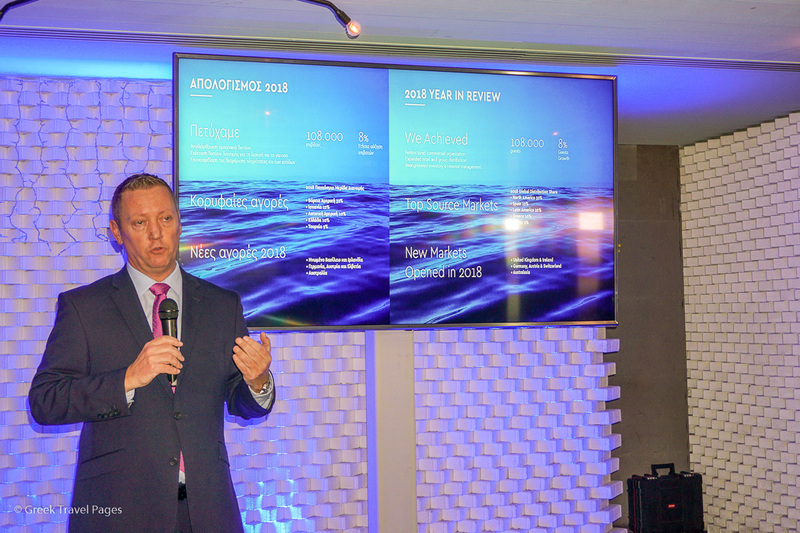 “The company’s aim, as every year, is the continuous improvement of the offered services, as well as the taking of new, innovative initiatives,” he said, underlining that the company has added new cruise routes in 2019 – the Eclectic Aegean and the 3 Continents itineraries – in its aim to further boost efforts to extend its operating season in Greece throughout the year. Moreover, during the briefing, On his part, Celestyal’s chief operations officer, Capt. George Koubenas, provided data on the company’s contribution to the Greek economy. Celestyal Cruises Chief Operations Officer Capt. George Koubenas. 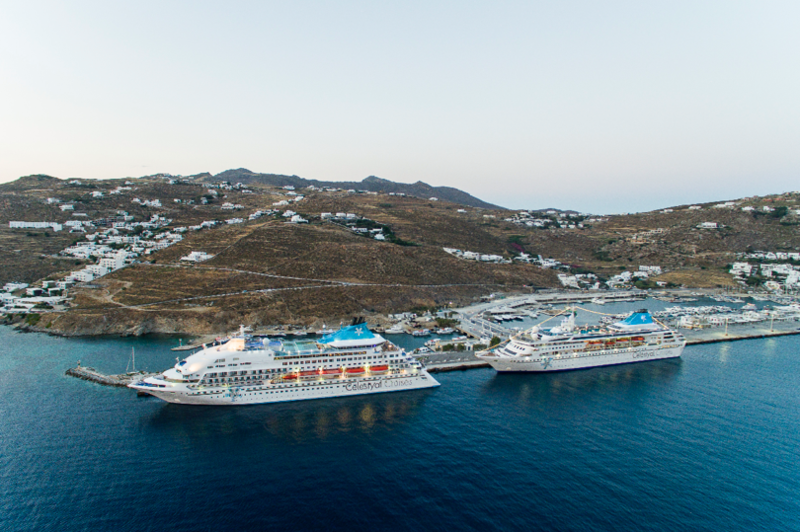 The leading cruise company in home porting (boarding passengers from Greek ports) in Greece, Celestyal Cruises in 2018 made 663 stops at Greek ports, which translates to 551,000 passenger visits at Greek ports. Celestyal covers some 75 percent of all homeporting activity in Piraeus Port (98,000 passengers) and transports a significant number of passengers to other ports such as Heraklion and Rhodes. Celestyal’s cruise passengers this year spent some 39 million euros in the country. According to Capt. Koubenas, Celestyal’s total estimated contribution to the national economy totaled 102.5 million euros this year. The company also employs 200 Greek seamen. “During the 2014-2018 period, which not a very good one for the Greek economy, Celestyal Cruises contributed some 103 million euros to Greece through various activities,” he said.